- Incredible, unadulterated, steaming and fragrant BS. 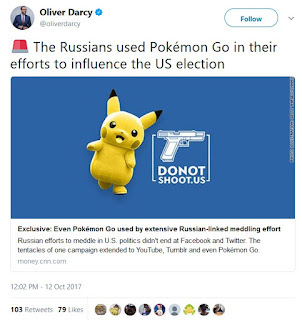 CNN says Hillary's 2016 coronation was derailed by the Russians using Pokemon Go? F**k.me.running. 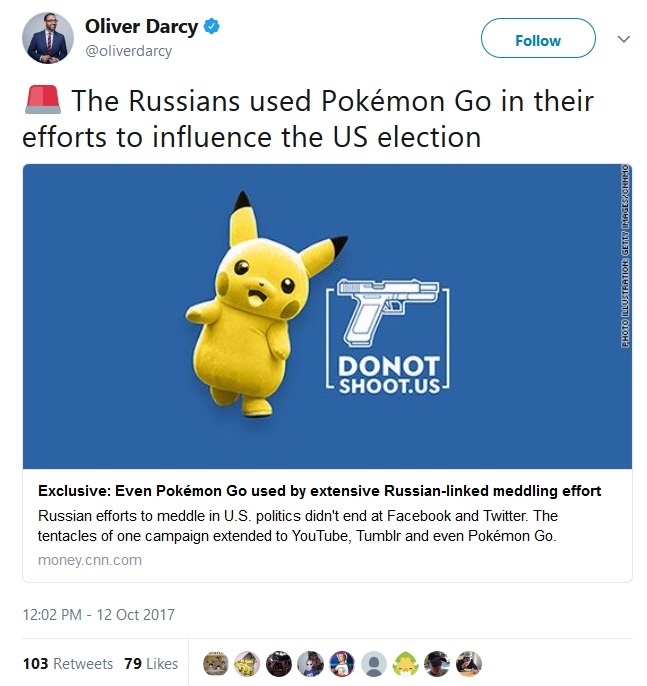 - I suppose Pokemon Go made Hillary 'skip' Wisconsin, too, huh? Unless they can show visible lobotomy scars, there simply is NO EXCUSE for these charlatans who know exactly what it is they are doing, to whom, for whom, and for what over-and-over again. - This goes beyond "willful, witting, voluntary, and intentional" malfeasance and certainly justifies viewers with two wits to rub together to cut the cable/cord and tune these clowns out. We have seen the decline of what used to be a Cable News Network as it oozed from being a journalistic enterprise into becoming the Clinton News Network, then slid past being the Communist News Network to become the Crap News Network it is today. - I long ago thought they had fallen as low as one can go, but they continue to plumb new depths. Just another fetid, steaming pile of journalism.